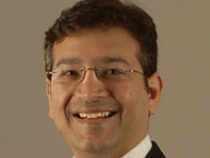 Pharma has better scope of recovery in FY20, says the Wockhardt MD. Next year, our bigger focus will be on acute business and diabetes drugs, Murtaza Khorakiwala, MD, Wockhardt, tells ET Now. What do you think is the outlook for 2019 as far as the Indian pharma goes? Pharma industry by and large has faced some headwinds in the past because of competition in the generic space in the US. In India, it was affected over the last two years because of demonetisation and GST transition that the country went through. I see that having gone through this phase over the last few years, next year overall, the pharma industry will be in a slightly better position compared to what it went through over the last few years. It looks positive and it looks like that it could be more positive and have a better recovery next year. Do you think the pricing pressure in the US will be better than the last few years? Do you see signs of stabilisation there? Broadly what has happened in the US is that to some extent, the nature of the industry has got changed and from a competitiveness point of view, generic players are facing increased competition in the US. On the customer side, there is further consolidation taking place. Both these factors put together have increased the pricing pressure on the generic industry in the US and by and large, that will remain. The pricing pressure is a function of that and there could be times when it is more in certain products and less in certain products but as an overall industry dynamic, the nature and structure of the industry will remain same. In terms of the India business, which is the largest share of your company? What is the growth rate that you are expecting from new launches? Traditionally, our India business has been on a very positive and healthy track and that is expected to continue. The Indian industry has not shown the double digit growth it had experienced earlier. But in the coming year, our basic focus is on big brands that we have developed in the acute business, like cough and analgesia. Also, there will be a big focus on diabetes where we have insulin and insulin analogs like glargine and an entire portfolio of products from vials to cartridges to pens. Diabetes is another major growth driver and we will also be launching our first new chemical entity drug discovery product in India in the coming year. We are very positive about the India business and we expect a good double digit growth. And the positive momentum will continue in 2019 also. When can you expect the India plants to get a clearance and clean chit from the USFDA as you have spent a lot of money on remediation of the plants? As an organisation, we have done a lot in terms of the kind of efforts in remediating and addressing the observations of FDA in our facilities. Over the last many years, we have fundamentally changed our quality management systems, the structure, the leadership and the people, technology and addressed a lot of the concerns. We also are in a position now where we believe we are offering one site in India for FDA to come and visit us. We do hope that with the progress that we have made in the site, US FDA would look forward to visiting us soon and we can expect some good news this year. What is the status of anti-infective drugs which the company is making? Have they got priority status and when is the launch expected? We have a very strong portfolio of new chemical entity. Antibiotic products which are result of Wockhardt R&D over the last 20-25 years and we have done clinical development. We have five products in our portfolio. One of these products we are going to file with DCGI in the coming month and we hope to have an approval of this product in India in 2019. Simultaneously, we will also be looking at taking this product to other markets outside India to the other emerging markets. This is a gram positive multispectrum novel antibiotic and works against resistant organisms. In case of the second product, we are looking at continuing our global clinical development outside India for the global market in the US and Europe. It is a life-saving gram negative hospital use injectable antibiotic. It is effective against resistant organisms like acinetobacter and klebsiella. It is actually used as a destination therapy when all other antibiotics fail. Are you looking at more approvals in the US? Do you expect more third party transfer launches in the US? We are looking at transferring some of the products that were impacted by the FDA regulatory issues outside our facilities into third party facilities and that project is going on quite well. Four-five products have already been launched and another four-five products would be launched next year. Some of the business improvement and growth in the US business will come from these third party launched partners that we have for the US market. What is the strategy on debt reduction? Your interest cost is almost equal to your EBITDA now. How do you plan to bring it down? Currently, because of various issues in terms of the US operation going down over the last three-four years, we are at a slight financial difficulty but I feel that our multi-pronged approach will address this issue. We are looking at growing our existing business and improving our fundamental profitability next year. Broadly, that will be the major approach that we will have is of financially getting into a more profitable mode both by growing the business as well as by looking at some of the costs associated with our business. In addition, various financing measures also are being looked at simultaneously to address this issue. Do you think debt and debt reduction will be one of your key focus areas for the year ahead? There are various plans that we are currently engaged in to address this issue a a little bit more in detail and it will be premature to talk about it right now. But we are very much aware of it and as management we are looking at that and seeing what is the best possible options that are available and workable at a given point of time.